After 7 long days of construction, finally the perFORM[D]ance House is ready to compete! Today, the all team photo was taken and the opening ceremony took place in the main tent! Our house was also judged for the Affordability contest! Take a look at some more photos of construction progress and also visit the Solar Decathlon Official Website where you can see the progress and time lapse of the assembly phase! Keep following as we go through very intense 10 competition days! 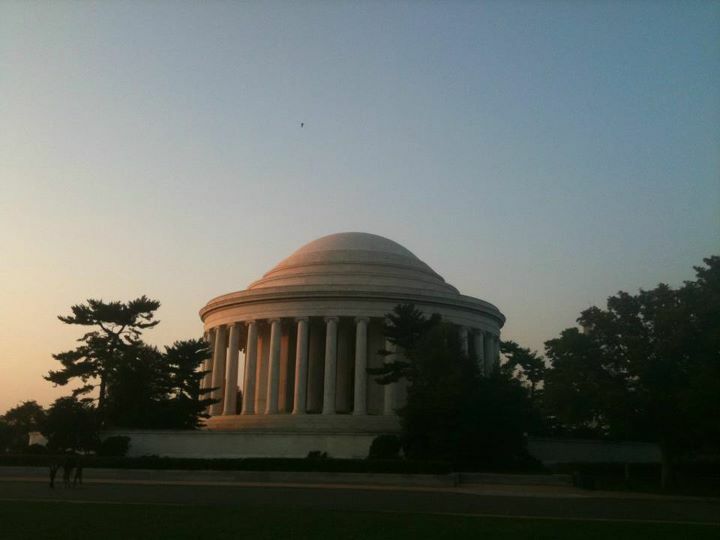 Take a look at some photos taken at West Potomac Park! Signing off our last inspection!! Passed! Showing our Louvre Opening for the Judges! Our House lit up!! Lighting contest begins! Two days left for the begining of the competition! 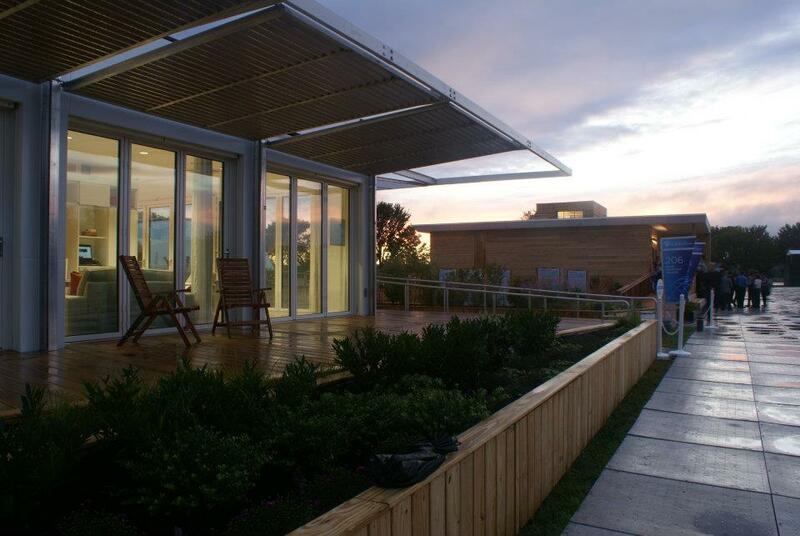 The FIU perFORM[D]ance House Team continues to work 24/7 towards the completion of the House ready to be displayed in Washington DC! So far the Solar Panels are now in place, the interior is painted and ready for the ceiling to be mounted, the core of the house is almost done and the deck is also close to completion. 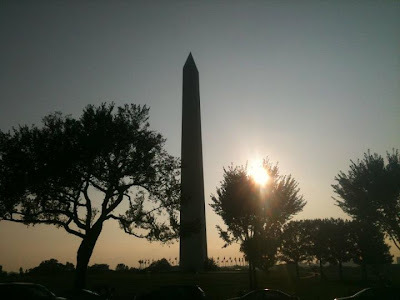 The weather in DC has been great so far, perfect temperature for construction, since we come from a very hot and humid area! 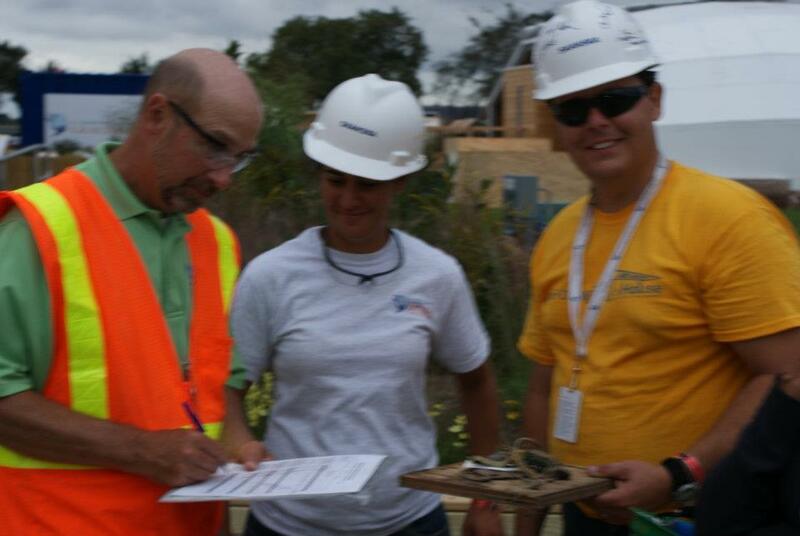 we are very happy to be working outside on a 65F weather! Take a look at some updated photos of the team working continuously day and night! 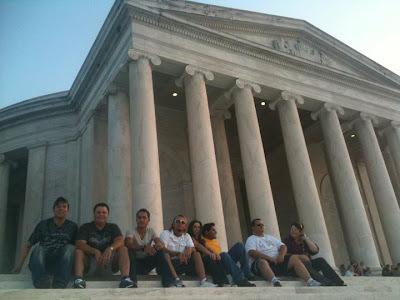 Team FIU assembly progress in DC! Team FIU is working hard re-assembling the perFORM[D]ance House in the grounds of National Mall's West Potomac Park in Washington, D.C.! Take a look at the progress so far! The deck leveling is partially finished, the Metal Framing of the Louvered panels is being installed, the interior core is coming into place and the rush continues on until September 23rd when the Public Exhibits begin! 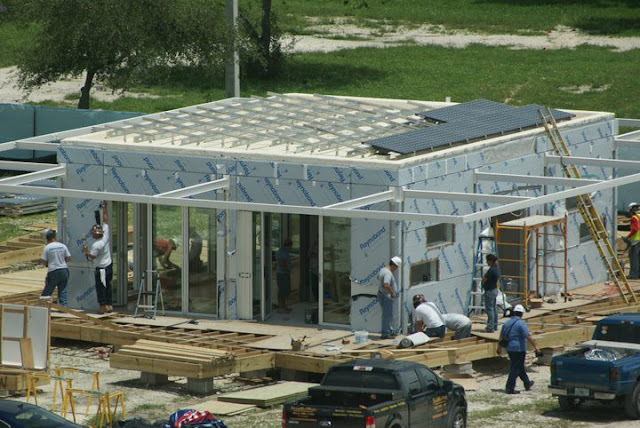 Remember to VOTE FOR TEAM FIU to be showcased on the Buildipedia video coverage of the Solar Decathlon 2011 ! Take a look as our most up to date photographs! Placing the metal framing for the louvered panels! DAY 1 of Assembly in DC! The rush begins as all the teams are now at the begining of the assembly process of their houses. It's only 7 days on a 24hr schedule! Take a look at the perFORM[D]ance House FIU team as they level the foundations in place as well as the arrival of the trucks! More to come so check back soon! The FIU Alumni currently in Washington D.C. held a reception to welcome the FIU perFORM[D]ance House team members upon their arrival to the Solar Decathlon Competition, just the day before the house arrives and assembly begins! 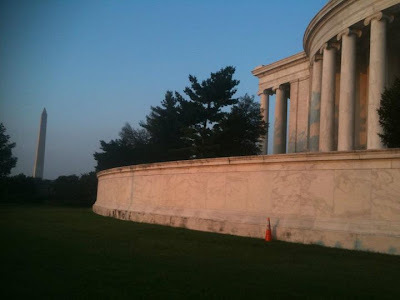 Take a look at some photos while they enjoyed a wonderful evening with their colleagues in the Nation's Capital! Team Members Arrive to D.C! Some of our Florida International University Team Members already arrived to Washington D.C!! Anxiously waiting for the House to arrive and begin the assembly process on September 13th. Take a look at some photos taken at their arrival. 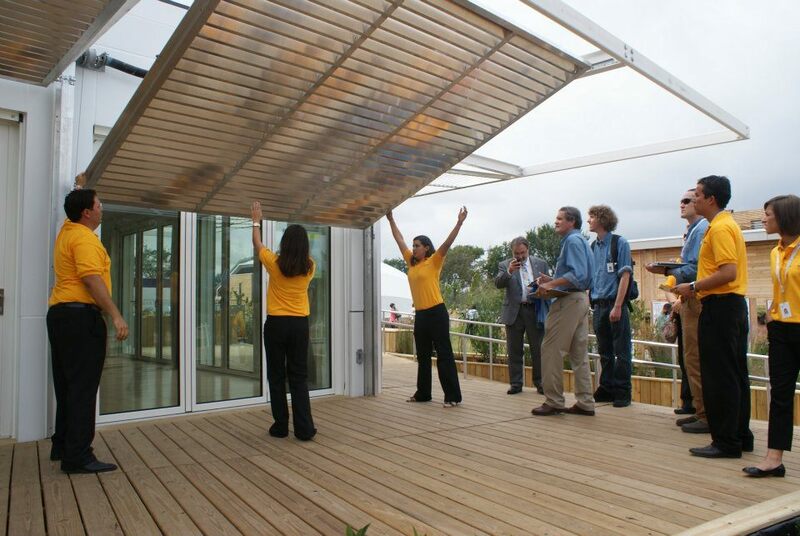 Stay tuned as we will cover every step of the assembly of the perFORM[D]ance House and the Solar Decathlon 2011 Competition! Best of luck to all the Teams!!! The house begins it's journey to DC!! Congratulations to the FIU Solar Decathlon Team!!! After a long day/night of preparation, the perFORM[D]ance house begins it's journey to Washington D.C. for arrival on Sept. 13th to the National Mall! The team has worked so hard these past few months to make this happen, and to see the house depart on trucks it's already a huge accomplishment! Go Team FIU!! Take a look at the footage taken while loading the house into the trucks and some photos take as well. To keep educating the future generations, one of our team members Tari Pelaez, offered a field trip to the construction site of the perFORM[D]ance house for the class she teaches called: Materials for Interiors, for both graduate and undergraduate students. Tari gave them a tour through the house focusing on the materiality, which was selected on their renewable, recyclable and regenerative qualities. As well as responding to the climatic conditions and efficiency. Take a look at the students as they walk through the perFORM[D]ance house, as it is already in the dis-assembly process soon to depart to Washington D.C. Almost ready to ship the perFORM[D]ance House! 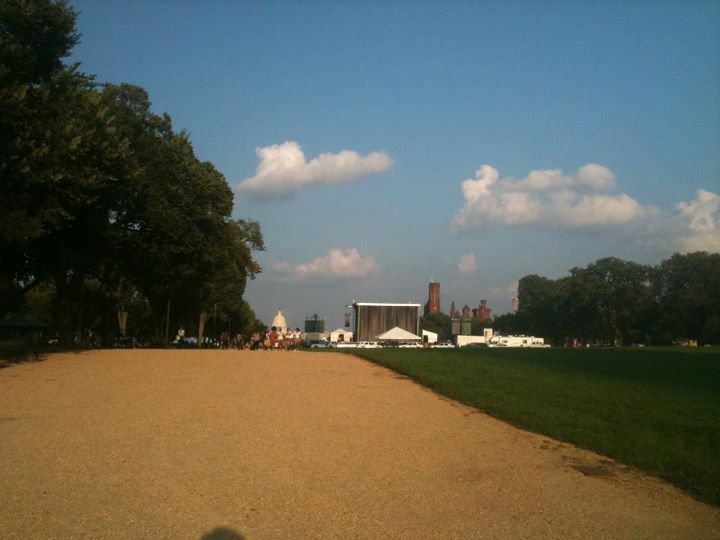 The perFORM[D]ance house is almost ready to depart to Washington DC!!! The past few days were spent finishing the house skirting, testing a prototype louver mechanism that allows it to operate, and finishing work on the interior pieces. The image above shows the kitchen with the lights turned on, which is part of our tests of the now finished electrical system which essentially means the house is being tested for how well all of it's working systems function. 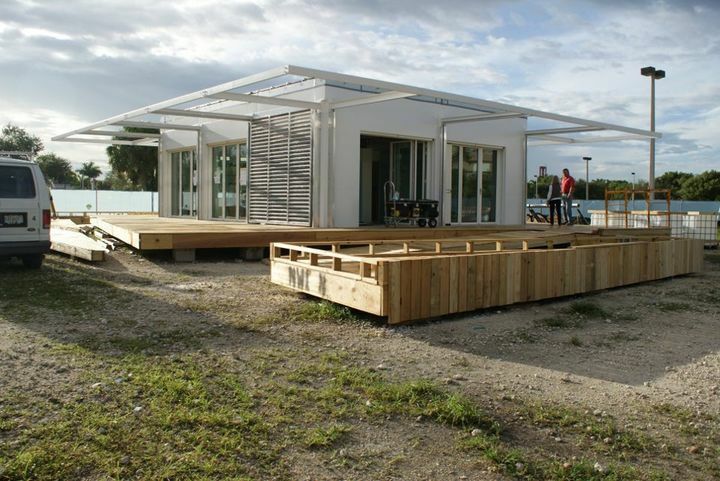 ALMOST THERE SOLAR DECATHLON 2011!! 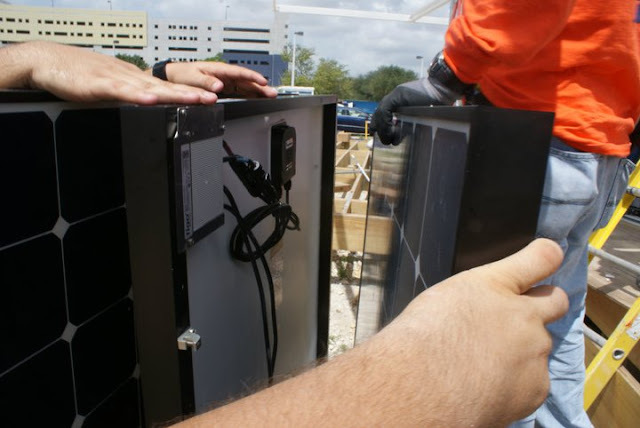 This past week, we've tested the electrical and mechanical systems to ensure that the solar panels work. 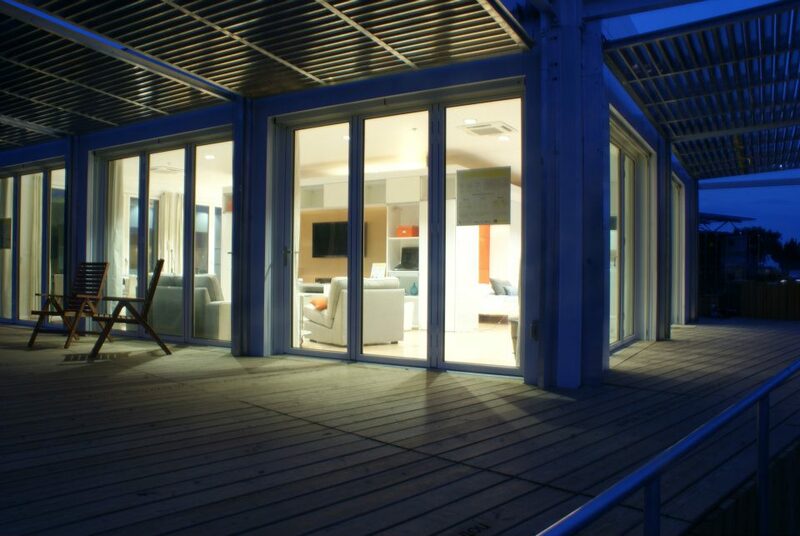 Also, the interior of the house functions when connected to the grid. 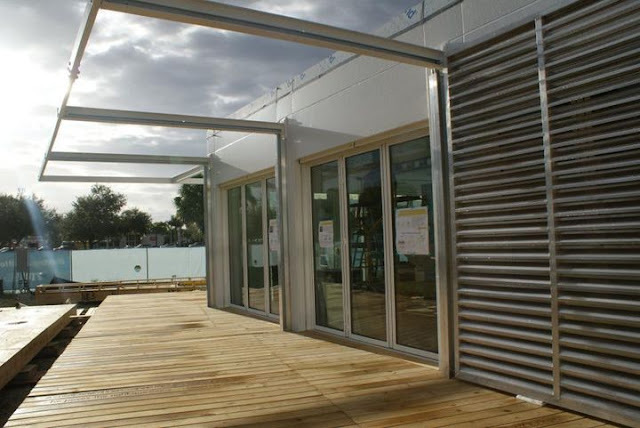 The skirting around the deck was completed and full test fitting of the operable louver panels, along with further completion of the interior. Installing the interior CORE: heart and brain of our house! Sneak peak into our mechanical controls room! 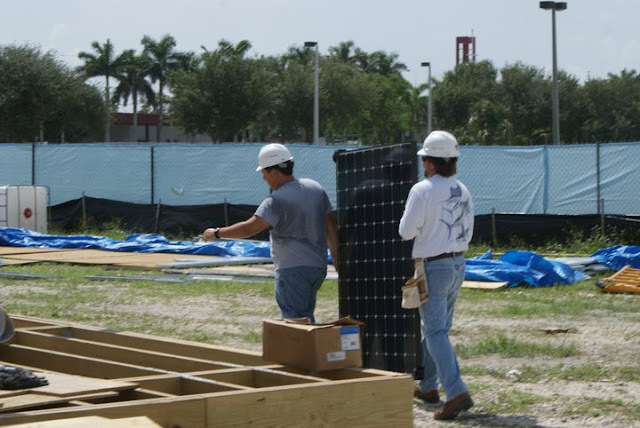 The FIU perFORM[D]ance House is about to really become solar powered. 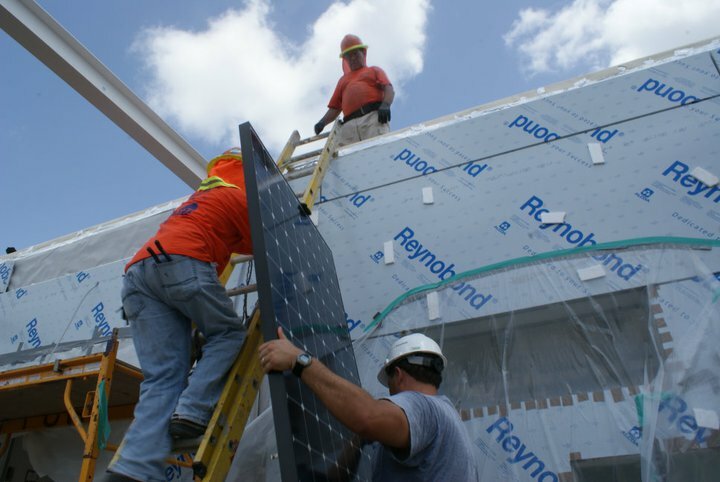 Take a look at the students during the assembly of the solar panels on the roof! let's put them in place!